Anyone want to give a senior guy a chance? SBRET does! 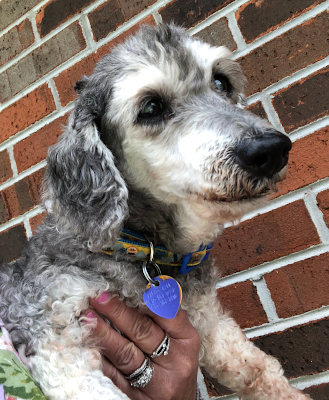 Meet Grady a 13-year old, 15-pound male Poodle. Grady was from a local shelter and from the looks of him he had been badly neglected for a very long time. His coat was a solid mat and he was filthy. He had rotting loose teeth, and was itchy from parasites. Fast forward to some parasite meds, good food, grooming, and vet care and he is a new man! There was a handsome Poodle hiding under all that mess! 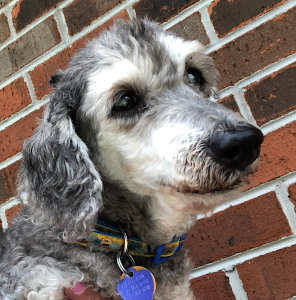 Grady is sight and hearing-impaired, and has a heart murmur that at this time is not causing any problems. Don't count him out yet just because he is a senior! Grady still has a lot of energy and love to share with someone. 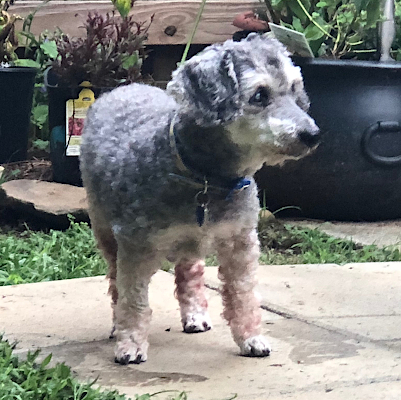 He had a mast cell tumor but it was completely and successfully removed so no treatment is necessary, although you do need to monitor for any new bumps that come up. He does well going outside to potty as long as he is kept on a schedule. He loves his bed and blanket that will go home with him -- bet he never knew cushy beds and blankets before! He is most happy to sit next to his foster mom. Grady is heartworm-negative, neutered, microchipped and his vaccines are up to date. Grady had a Cytopoint injection to help with his itchy skin; it helped a lot with his skin irritation. He should not have access to stairs with his sight impairment. There are cats and other dogs in his foster home and he gets along well with everyone. He is just a nice, sweet boy! He had a dental cleaning and lost several teeth. He eats very well with a little canned food and dry kibble mixed with a little water -- not too much trouble at all! 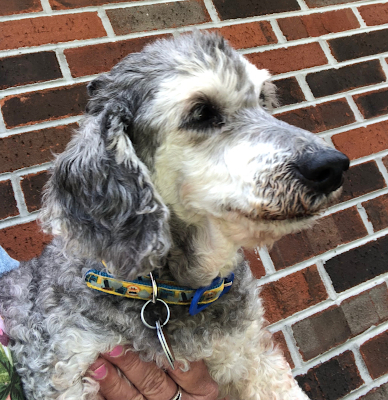 He has a tendency to follow closely behind his foster mom, so his new owner will have to be aware he may be right under foot - he just wants to be with his human! 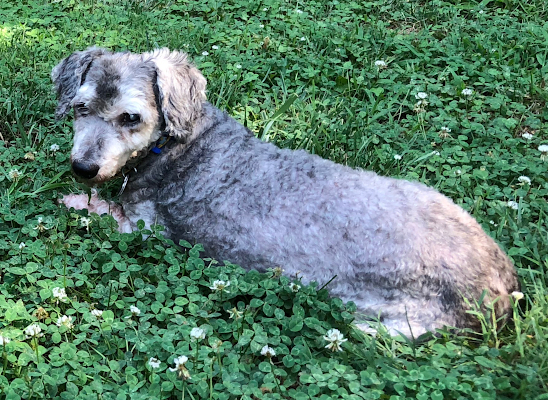 Grady did not deserve to be dumped at the shelter in such rough shape without a chance to know good care and we promised him that SBRET has wonderful followers who just love seniors!! If you would like to be Grady's special human, fill out an application. Grady's adoption fee is $100.